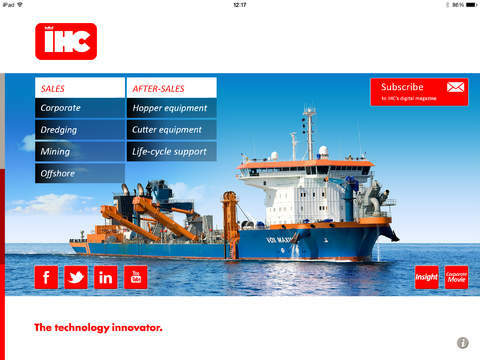 Royal IHC (IHC) is focussed on the continuous development of design and construction activities for the specialist maritime sector.Â It is the global market leader for efficient dredging and mining vessels and equipment â€“ with vast experience accumulated over decades â€“ and a reliable supplier of innovative ships and supplies for offshore construction. 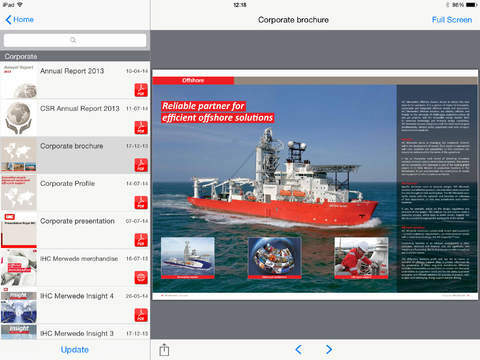 The IHC iPad app presents a complete guide to the companyâ€™s innovative vessels, advanced equipment and life-cycle support. 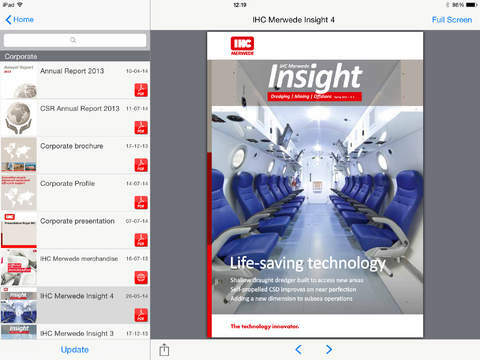 This essential maritime tool presents all of the latest corporate information on the technology innovator.